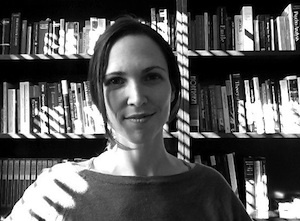 Cristin Ellis specializes in nineteenth-century American literature. 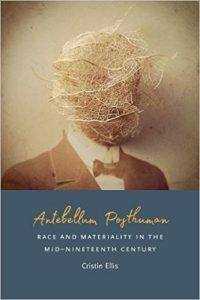 Her first book, Antebellum Posthuman: Race and Materiality in the Mid-Nineteenth Century (Fordham 2018) highlights the destabilization of the category of “the human” by the rise of embodied accounts of identity in the antebellum era, examining more broadly how scientific discourse shaped racial and environmental imaginaries in these decades. Her second project studies regimens of attention prescribed in literature and visual culture in the long nineteenth century as projects for training the sensorium, tracing through these genres a counter-history to the intensification of bodily control exacted by the industrialization of labor, the society of spectacle, and the consolidation of what Foucault terms biopower.